Ultimate Fighting Championship (UFC) president Dana White claims that Tony Ferguson has personal matters to attend to. When Max Holloway vs. Dustin Poirier was announced for the interim UFC lightweight title, many were left puzzled. Along with the announcement, White revealed that Ferguson turned down the bout with Holloway. White never criticized Ferguson for his decision, but he did say when opportunities come it’s ideal for fighters to take them. Ferguson hasn’t competed since Oct. 2018. He defeated Anthony Pettis via TKO. It was Ferguson’s first bout in a year as he underwent surgery for torn ligaments in his knee. While many thought that Ferguson vs. UFC lightweight champion Khabib Nurmagomedov would be booked next, “The Eagle” is dealing with a suspension and now Ferguson is out of action again. 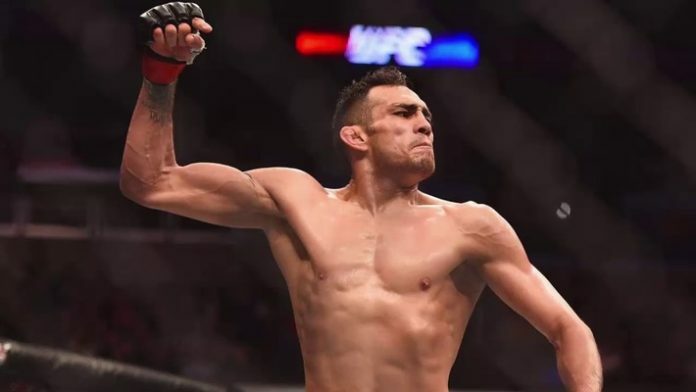 Do you think Tony Ferguson will eventually get his opportunity at the undisputed title?